Self contained accommodation in the Porongurup Range in Western Australia. For nature enthusiasts, bushwalkers, climbers and lovers of fine foods and wines. 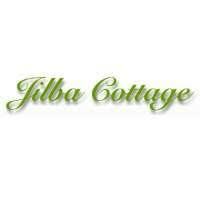 Jilba offers an ideal central point to relax and enjoy the Great Southern Region of Western Australia. A complimentary continental breakfast is supplied for your first morning. The unit is two bedroom, self-contained accommodation accessed by stairs to a wide deck, overlooking some stunning views. Enjoy the peace, tranquility and fresh country air, with panoramic views over our gardens and olive groves and across rolling farmland to Albany and the South Coast.